WordPress is one of the best platforms around for writers and bloggers. The learning curve is fairly gentle, and it's highly customizable. Even non-coders can configure it to render the site of their dreams. But did you know that you can make it even better? Take a look at some of the smart, strategic tools we've listed below. 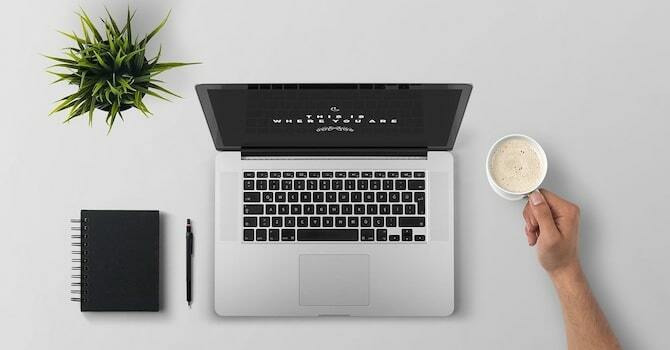 Using these tools and plugins, writers and bloggers can make their jobs even easier and fine-tune their sites to provide the perfect platform for their hard work. First and foremost, let's look at some tools that will help manage your time, be more productive with your writing and blogging, and juggle your to-do list. Evernote is a comprehensive note-taking app. Bloggers and writers will especially enjoy its use as an inbox and filing system for webpages and notes that you might want to use in future posts. You can drop pages with ideas, sources, screenshots into notebooks with specific tags (e.g. Blog Topics, Sources to Cite, the name of your blog or categories), then when you're ready to compose your next post, just pull up all the notes with that tag. Asana and Trello are both excellent project / task management apps that you can set up in various different ways – by topics, task contexts, or websites to manage your blog posts and writing projects properly. Both of them have free levels of access. Google Docs and Drive is an excellent resource not only for bloggers, but also for project managers, freelancers, business partners or else. Use the app to help manage drafts and collaborate with others. Google Docs and Drive also has some great built-in tools that make research a snap. Toggl is a free time tracker with lots of platform access options (Android, iOS, Chrome extension, etc.). You can assign specific tasks by project and client, or use those settings to manage different aspects of your blog (e.g. blog posts, static pages, landing pages, etc.). Editorial Calendar is a WordPress plugin that helps you plan and schedule future posts, view posts in a calendar format, and even schedule publication of posts (especially helpful for professional blogs and websites with more than one writer). Finally, there's one built-in WordPress dashboard tool you should explore: Distraction-Free Writing Mode. It's native to your dashboard. Just click the four-way arrow icon in the top right corner when you're adding or editing a post. Comments (together with social shares) are the lifeblood of your platform. They provide social proof and help you connect with your readers on a more personal level. Spam is the enemy of all that. So you'll need a way to grab spam comments before they get published on your site. Akismet is the granddaddy in this area and it's still one of the most popular and most often-used spam-catching plugins. Learn more about spam protection: How to secure your WordPress site from spammers. If your theme doesn't have built-in SEO options, you'll need a plugin. Yoast SEO and All in One SEO Pack are the two most popular and well-reviewed plugins for WordPress SEO. Either of these will work well, so try them out to see which SEO plugin you prefer. Another plugin that will help improve both SEO and your user experience is Velvet Blues Update URLs. This plugin updates your old URLs when you move domains – e.g. when you're transferring your site from WordPress.com to self-hosted WordPress – to avoid broken or dead links. Site speed isn't optional anymore. It's a crucial part of both your overall user experience as well as SEO. Smart bloggers and website owners do everything they can to decrease their page load times. Fortunately, there are a few plugins that can help you with that task. For instance, WP Smush optimizes and resizes your image files, which can greatly reduce page load time. Additionally, WP Fastest Cache can help. This WordPress caching plugin generates static files for your pages that can get served up faster to your visitors. In addition there are other great caching and image optimization plugins that can speed up your website as well. Ready to write? Not so fast! First, it pays to take some time to do a little topic and keyword research. With the tools in this section, you don't need to spend lots of money on expensive services and sites – they're all free and fun to work with. Quora for example is incredibly useful for writers and bloggers. Simply type in your topic and browse questions that real users (your users) are asking. Then craft your post to answer those questions. What if you're just stuck? Use either Portent Title Maker or HubSpot's Blog Topic Generator. Both help generate content topics and headlines you can use to inspire creativity. Now you're ready to write your winning post. But before you publish it, try using these tools, which can eliminate errors and make your words zing. Grammarly is a web-based app that also comes with a Chrome browser extension to fine-tune your writing. It can highlight errors that Microsoft Word misses. Hemingway was named for the writer, Ernest Hemingway, who was famous for his concise writing. It's another web-based app that helps you pare down your prose and improve your clarity. Once you've done the hard work and written that perfect blog post or great editorial article for your website, you need to promote it so that it'll get seen. Click to Tweet makes it easy for your readers to tweet hand-crafted excerpts from your posts and pages. As for social sharing, well – this area is admittedly difficult. There’s no clear winner in this field, and each option seems to have its share of detractors. ShareThis and Floating Social Bar are two you might want to explore, although the latter plugin from WPBeginner hasn’t been updated in a year. Finally, once you have several posts published, you might want to turn them into an ebook. The Anthologize plugin does the heavy lifting for you. You can sort posts by book sections, set up pages for dedications and acknowledgments, and export everything into a book format for fine-tuning. Sadly, also this plugin hasn't been updated in a year, yet there aren't so many alternatives available. Scrivener is much more than a writing app (although it's that, too). Scrivener can also help you format and export your writing into the most common ebook formats, such as .mobi. It's richly featured, including a distraction-free mode. It's not free, but many users swear it's worth every penny, and it's available for both Mac and Windows OS. There you have it — 23 of the best tools to help improve your writing and your WordPress website. Did we list your favorite? Do you have another plugin or tool to suggest? Share your thoughts and experiences in the comments below! Great list! Hemingway Editor is my favorite writing app. I’d also suggest Focus Writer and Paraphraser Online. Both are great! Thanks for extending my list of writing resources! Hi Emma, thanks – we’re very happy that you like the article and the MH Magazine theme. I like to use Arrangedly to help with the order of ideas for larger projects, and then a simple voice memo app to season these ideas. Idea placeholders are then closed out as I work through the project. The Hemingway App really helps subtract the excess. 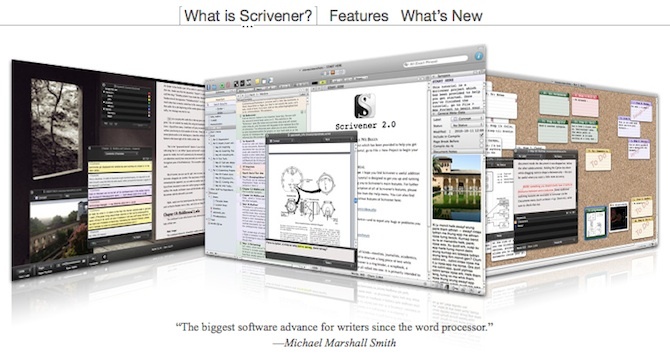 Scrivener looks like a must in the coming year.